The needs of clients vary and as such, the products which they expect from automakers vary as well. For example, the road may not be the Porsche lover’s only means of transport. What if the Porsche lover could have that same level of quality but in other forms of transport? This is where the Porsche yacht comes in. What Is The Porsche Yacht? Unveiled at the Monoco Yacht Show in September 2017, the Dynamic GT115 or Porsche yacht is the company’s attempt at yacht making. It is a hybrid super yacht which allows users to travel the sea in luxury. What Are The Stats Of This Super Yacht? Performance is an essential part of any Porsche and the Porsche yacht is no different. The yacht is powered by two engines. These identical MAN V12 engines each produce 1,650hp. These spectacular engines are joined to Fortjies pod drives. They are also attached two three variable-speed generators which allows the speed of the engine to be controlled. All of this enables the yacht, which measures in at 115 feet to reach a comfortable cruising top speed of 21 knots. Meaning that is by no means a slouch. It is also a hybrid which means it offers remarkably fuel-efficient consumption for 3, 400 nautical miles. The creators of this engineering claim that they are “taking the spirit of high performance sports car styling to the sea” while having created a sort of Gran Turismo of the seas. As mentioned earlier, the yacht is designed to encapsulate the spirit of a sports car while maintaining the high end feel of a super yacht. The yacht is coated with a stylish Rhodium Grey metallic paint. The interior is composed of exquisite hard wood floors and chocolate brown furniture developed in collaboration Minotti. Minotti’s influence can is further demonstrated in the exquisite Luxor beige leather, carbon fiber detailing. The sports car feel is enhanced by the addition of deck cushions which are reminiscent of retro 1970s Porsche sportscar interiors. Large windows allow an abundance of natural light to flood the room while offering spectacular views of the areas surrounding the yacht. Any yacht should come with some nifty features and the Porsche yacht does not disappoint in the aspect. It boasts a vertical prow, a super yacht spa pool on the upper deck and a delightfully shaded al fresco dining area where users and guests can enjoy meals. There is also a generous amount of guest accommodation available below deck with the Porsche yacht offering three or four guest cabins. How Expensive Is The Porsche Yacht? Whether something is expensive or not is a relative term. Something may be expensive to one person and be chips to another. The Porsche yacht retails at around 16 million US dollars. This may seem like an eye watering amount but when compared its competitors and what one is getting for one’s money, it is clear that the yacht is very reasonably priced. It is however still very exclusive. So far, only a few have or will be produced meaning that even if one has the 16 million dollars to splash on the yacht, there is no guarantee that one will be able to attain one. 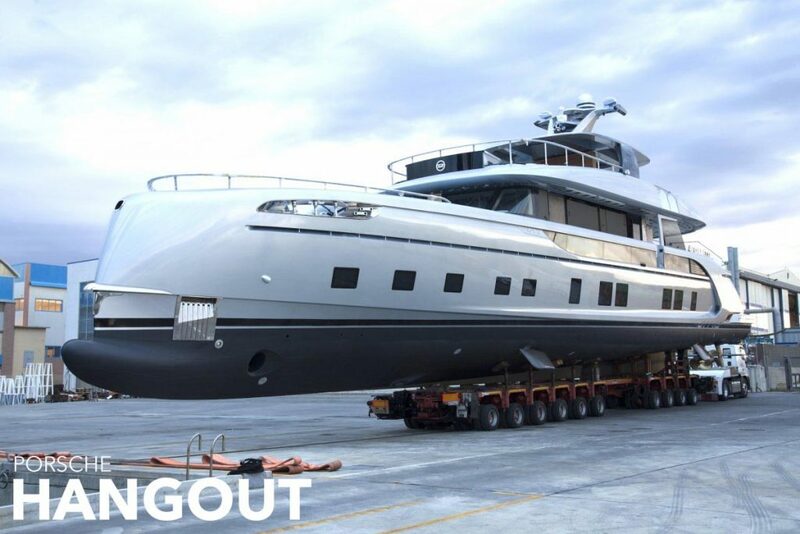 The GT115 is, in the words of Dynamiq CEO Sergei Dobroserdov, “the culmination of a long process of design and development to introduce a new kind of super yacht to the market.” It is clear from all of this why the Porsche yacht is one of the most exciting pieces of machinery in the world today.